The whole point of jumping on a trampoline is to have fun! There's oodles of scientific research on the benefits, but most notably NASA calls it "the most efficient and effective exercise yet devised by man", due to the extra gravitational force that the trampoline pad adds. But that was back in the 80's...wait till you see what we've done to the workout now! 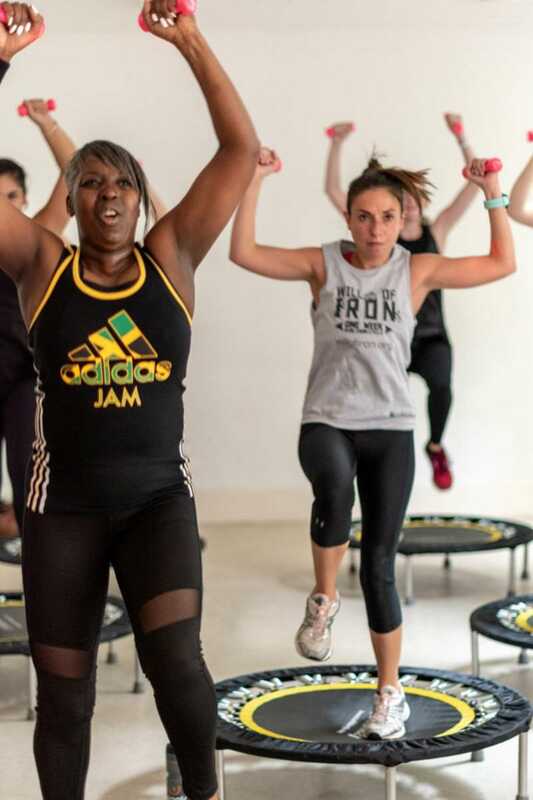 Our 45 minute ((BOUNCE)) BLAST class incorporates optional use of hand (provided at the studio or you're welcome to bring your own) with a focus on the upper body to tone the arms and create strong, lean triceps, biceps, shoulders, back and chest. There are less breaks in this class, but it features the same exciting routines and means your workout is super-efficient and gets the job done properly.